Beginning in 2001, World Fair Trade Day began with the goal of connecting dedicated fair trade brands with consumers. A dedicated fair trade company goes beyond using fair trade ingredients – the entire supply chain is fair trade, from top to bottom. The fair trade business model supports small-scale farmer movements, takes stances on global politics, and tackles social issues. The consumer demand for dedicated fair trade brands has sales growth of nearly 200 percent each year. Consumers want their food to come from ethical and fair trade sources. At my home, I grow as much food for myself as I can. I take pride in caring not just for the plants which feed me, but the soil and ecosystem around my land as well. I recognize the symbiotic relationship between the various insects, companion plants, and the rotation of crops which provide many a satiating meal. Often times I have an overabundance of produce, with friends and family asking for my secret. I like to attribute my success to talking positively to my plants. However, much of my success is owed to being conscious of farming practices of small-scale farmers in a fair trade world and bringing their methods home. When I’m not growing my own food, I am constantly thinking about how my food is sourced and where it comes from. The expression “nose to tail,” which means eating the entire beast, is just the tip of the iceberg for me. I care about the conditions of the farmers, their soil, and how they care for their produce or animals. In a global marketplace, small-scale farmers are able to better feed the non-industrialized world’s people on a fraction of the land used by multi-national agriculture corporations. World Fair Trade Day celebrates both farmers and brands. These are the visionaries using organic and regenerative farming practices to show the rest of the world sustainable methods of farming which support a global society is possible and not as out of reach as one might think. These small-scale farmers promote soil fertility and take their part in mitigating climate change. Identifying and supporting companies which partake in Fair Trade is more than just a badge on the product label. Fair Trade is a movement. Authentic Fair Trade ensures every single product manufactured includes fairly traded ingredients and caring for the communities as part of the business model. These Fair Trade labels evaluate brand and company relationships with their producers. Fields are inspected, processing plants checked out, and trading operations and overviewed, all to ensure Fair Trade standards are being met across the board. If you see these labels, you can feel much more confident in the product you are buying. If you don’t see Fair Trade products and brands in the stores you shop at, simply ask for them. Stores will stock what the customer asks for and purchases. 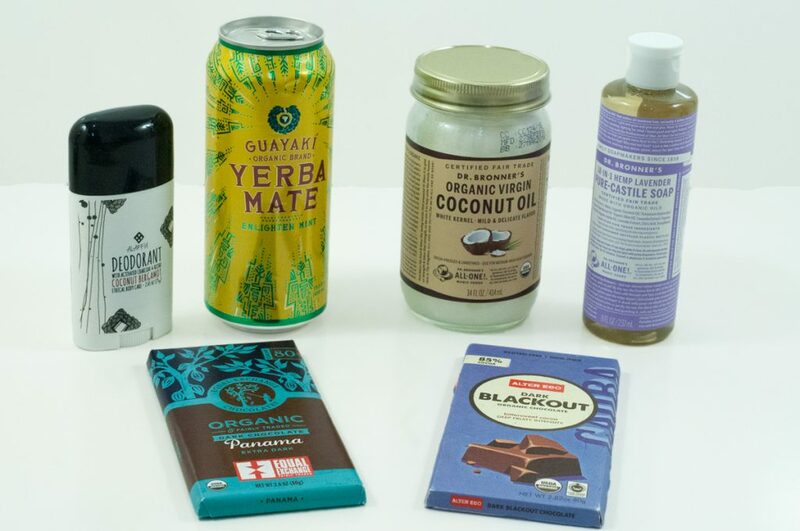 Fairtrade America certifies products that include some fairly traded ingredients produced by small-scale farmers, but does not guarantee the brand is working toward a just economy. Requirements. Fair For Life holds high fair trade standards and ensures brands’ products utilize fair trade ingredients wherever possible. Only brands working towards a just economy can receive this certification. Requirements. Agricultural Justice Project is the strongest domestic food justice certification certifying brands working toward a just economy. Requirements. Small Producer Symbol is the only farmer-led 3rd party certifier and has strong requirements for eligibility and farmer empowerment. Requirements. Fair Trade USA doesn’t have nearly as strict standards as some of the other certifications and only reviews some of the steps of supply chains. Requirements. Fair Prices: Farmers are ensured a fair and stable price for their harvest and guaranteed a profit for their work. Good Labor Practices: No forced labor, no child labor, and safe working conditions with gender equality. Training: Teach farmers methods for composting, yield improvements, and integrated pest management. Environmental Sustainability: Implement crop diversity and organic agriculture. Fair Trade Fund: 10% of the price paid for a farmer’s products is paid into a fund which goes towards community development projects.